A user's complaint over the lack of "Other OS" option for his PS3 has earned him a 20 percent refund from Amazon. Sony's removal of the Other OS feature sparked some anger, but one PS3 owner decided to turn it to his advantage by getting his money back from Amazon. Citing European law, he was able to persuade Amazon that a refund was in order, an argument that may be usable by other gamers. The gamer, who goes by the name iapetus and moderates the NeoGAF forum claimed his PlayStation 3 no longer lived up to the advertised specifications. The console, which was well out of both the warranty and the 30-day Amazon guarantee, was deemed by Amazon to be eligible for a partial refund. Under this ruling, any number of other gamers could make the same claim, which could prove quite costly. Sony has since issued an apology about the removal of the feature, but have cited their right to revise the console's settings in order to prevent piracy. Sony has released an official statement apologizing for the issue, but remaining firm on their right to institute the change. "We are sorry if users of Linux or other operating systems are disappointed by our decision to issue a firmware upgrade which when installed disables this operating system feature. We have made the decision to protect the integrity of the console and whilst mindful of the impact on Linux or other operating system users we nevertheless felt it would be in the best interests of the majority of users to pursue this course of action. 'As you will be aware we have upgraded and enhanced functionality and features of the console by numerous firmware upgrades over time and this is a very rare instance where a feature will be disabled. Further enhancements are in the pipeline. 'Users do have the choice whether to install the firmware upgrade and this is clearly explained to them at the time the firmware upgrade is made available for installation. 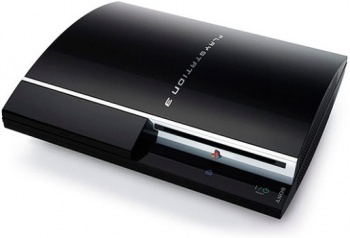 Furthermore our terms and conditions clearly state that we have the right to revise the PS3's settings and features in order to prevent access to unauthorised or pirated content,"
If more gamers jump on this legal bandwagon, things could get pretty messy. Amazon will likely defer these expenses to Sony if things get too bad, and if that is the case, Sony may have to either reinstate the Other OS feature or enter a lengthy court battle about the proceedings to resolve the issue. Sony is clear in their statement that the firmware update is a choice, but refusing the update also cripple's the PlayStation 3's online capability, so its hard to say whether that will hold water in court.